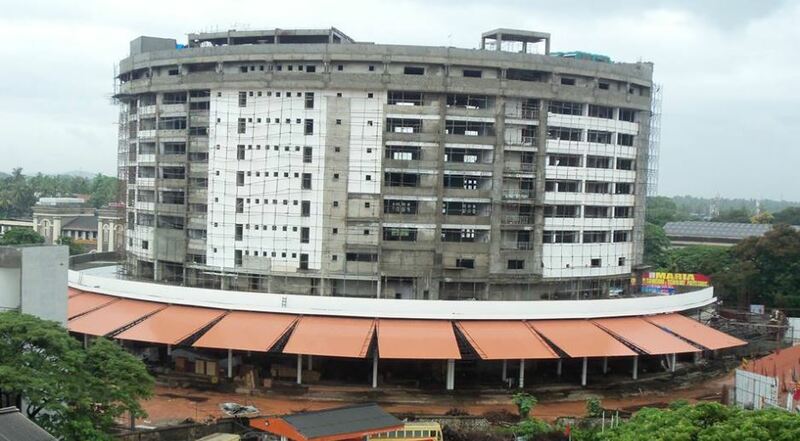 The Central Bus Terminal at Thampanoor is being constructed in world-class standards at a total cost of Rs65 crore. As construction nears completion at the Central Bus Terminal at Thampanoor, authorities have decided to include Multiplex-level theatres in the complex. Multiplex theatres with two screens will come up at the third floor of the complex along with a food court and a gymnasium. The third floor has been specially designed to accommodate two theatres. The space can be used to run two theatres in duplex mode or can be combined to form one large capacity theatres. Authorities will issue a tender for running the theatre. Already, three theatres are functioning in the bus stands constructed by KTDFC at Angamaly, Thiruvalla and Kozhikode. With 17 theatres, Trivandrum city has the most number of theatres in the state. More theatres in the city are converting their space into multiplex screens. Sree Padmanabha Theatre will be split into two while New Theatre will transform into three little theatres. Theatres in the SL Complex will also follow the same line. When more theatres are opened, current problem of unavailability of theatres to exhibit new releases can be solved. The Central Bus Terminal is being constructed in world-class standards at a total cost of Rs65 crore. The bus terminal will have a single entry and single exit system. 29 Buses can pick-up and drop off passengers at the same time. It will have a commercial zone with a shopping complex and a large office space. The complex will also have facilities such as rest room for passengers, food courts, escalators and four passenger lifts. A multi-level car parking area with a capacity to park 320 cars is another highlight of the building. The bus terminus is a joint venture of Kerala State Road Transport Corporation and Kerala Transport Development Finance Corporation Limited, the project is planned on BOT basis. Once the bus terminus is operational, it will become a landmark in the city.